The opening of the Mac Point cycleway will provide a crucial link for pedestrians to move between the Australian Wooden Boat Festival and the Royal Hobart Regatta this weekend. The Mac Point site is now open to the public 24/7 for the first time since 1850 and the waterfront is connected from as far away as Berriedale with the cycleway providing a convenient and safe passage. It also provides an efficient riding or walking route for cruise ship passengers and locals alike to access the Cenotaph, the new Remembrance Bridge, the Doone Kennedy Hobart Aquatic Centre and the Royal Tasmanian Botanical Gardens. 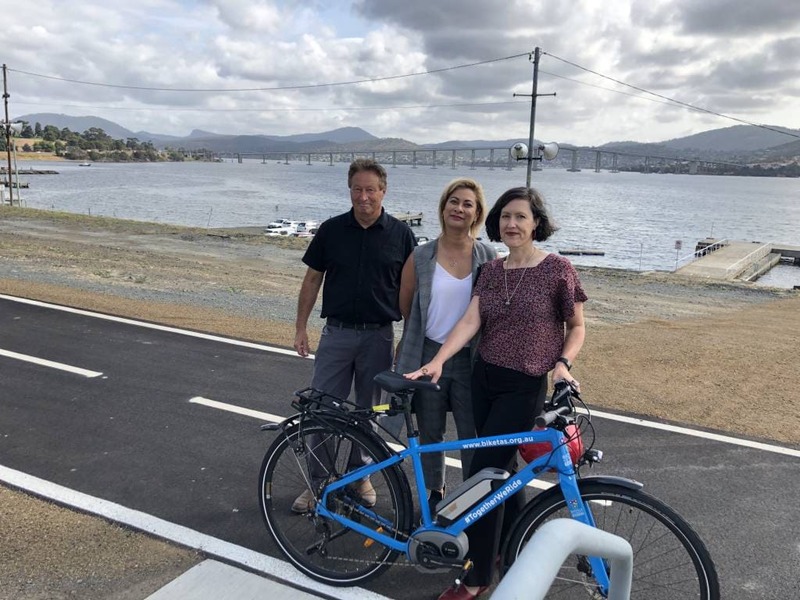 Royal Hobart Regatta Association president Geoff Lucas said: “It’s fantastic to see the cycleway open in time for the regatta, this will allow easy access to one of Australia’s largest and oldest aquatic events,” he said. Mac Point CEO Mary Massina said the cycleway gives Hobartians connectivity to and from the city and Salamanca. Those currently using the Intercity Cycleway travel next to the Tasman Highway which carries more than 40,000 vehicles a day. Extension of the cycleway through Mac Point provides a more cyclist-friendly path, improving safety by separating pedestrians and cyclists from the major arterial road. Bicycle Network Tasmania spokesperson Alison Hetherington said: “We need more comfortable places to ride if cycling is going to be a viable transport option and the Mac Point path ticks that box. Local firm Andrew Walter Constructions completed the work on the cycleway. The cycleway is just one of a number of new projects that will energise the Mac Point site, others include the Long.House creative hub and the edible precinct gardens. Plans approved by Council include a second cycleway route through the site which will exit onto Davey St. The additional route will be constructed once key infrastructure on the site is completed.